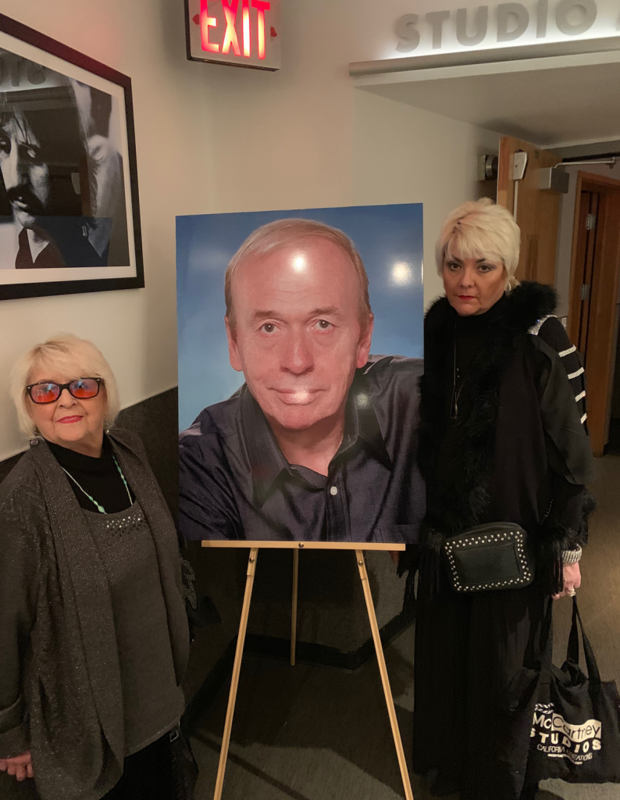 The Directors of McCartney Multimedia, (Angie & Ruth McCartney & Martin Nethercutt), were invited to a Memorial service dedicated to the late Geoff Emerick at Capitol Studios in Hollywood on January 21st 2019. 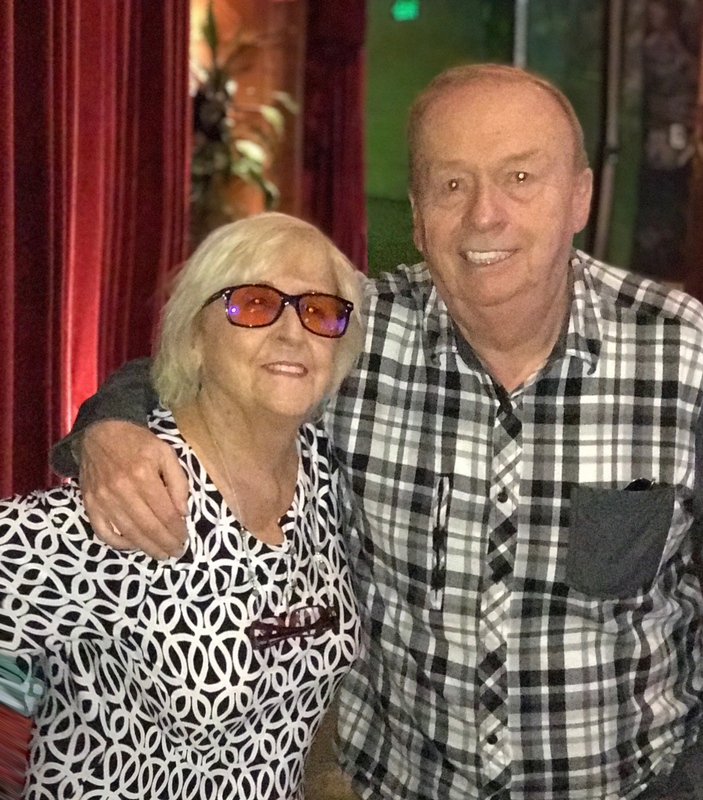 Geoff passed away on October 2nd 2018. It was hosted by Paula Salvatore, (VP and Studio Manager), who had had the pleasure of working with him over several years, and was attended by approximately 100 people, many of whom were noted Engineers and filmmakers who had benefited from Geoff’s friendship and expertise over the years and in numerous locations around the globe. 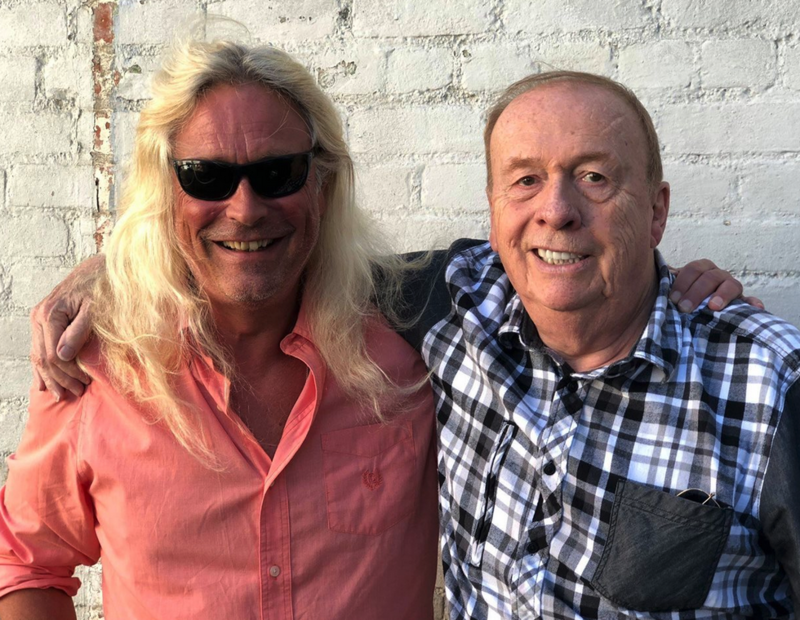 Bill opened the proceedings with his own emotional tribute to Geoff, and was joined by Howard Massey, who co-wrote Geoff’s book “Here, There and Everywhere” which was published in 2006 and is today considered the Bible of recording engineers everywhere. Even the younger generation of up and coming technicians all own a well read copy of this book. Most of them say they carry it around in their backpack. The Capitol building itself is iconic, and the walls are lined with amazing photographs of enigmatic figures who have recorded there, ranging from Sinatra to Ray Charles, Judy Garland to The Beach Boys, the soundtracks to many of Hollywood’s blockbuster movies, to tracks for Television shows, and of course, more recently, Sir Paul McCartney. Angie and Ruth were invited to say a few words, and Angie opened by saying that, having originally met Geoff in the Abbey Road days, she had lost touch until last year, when their paths crossed again, and they took up their friendship where it left off, seemingly with never a break in between. They enjoyed catching up on old times and had many laughs to share. 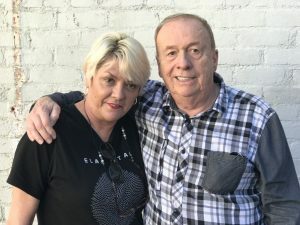 Ruth added that they had been working with Geoff through client Nick Marechal, for whom Geoff mixed a track of his recording of “Things We Said Today.” They had been planning to work together a lot more in the future. Sadly, it was not to be. Numerous music luminaries stepped up, relating often hilarious stories of their experiences and adventures with Geoff in several countries. The atmosphere, although solemn, was uplifting and filled with laughter and music, and sometimes a tear or two being shed. Martin Nethercutt would like to add a couple of anecdotes to this tribute. Chad did as he suggested and was astonished, as we all were, how different and big the solo sounded. 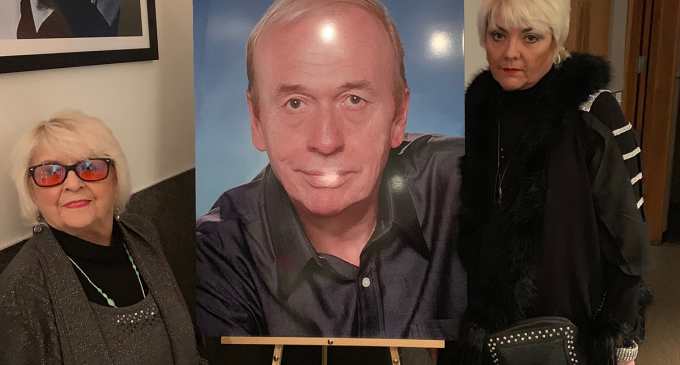 But that was Geoff, a gifted but humble and talented man whose wisdom and experience came from thousands of hours in studio world, engineering superstars, always happy to share his knowledge with others. So all you young and upcoming engineers out there, take a moment to roll back your chair! Whilst mixing Nick Marechal’s version of “Things We Said Today” at LAFX Studios, Geoff and Nick were discussing when to fade out. Should the guitar hang on a little longer? Geoff was one of the few Engineers that could set up the console for a live recording session which might include: String Section, Horns, Drums, Bass, Keyboards, Piano, Guitars and vocals, without listening to a single tone, by merely adjusting the knobs on the mixing console. RIP Geoff Emerick. We will miss your creative ingenuity. As Engineer, Producer and creative artist, you gave us the sound most studios, Engineers and Producers rely on today. We will miss you. 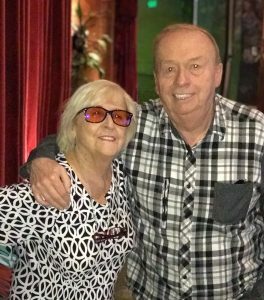 May that Neve Console “sparkle” in heaven.